Finally we have commitment from the three participating farms...farmers are pretty busy people and have other things on their minds this time of year! So happy that they're willing to have us! 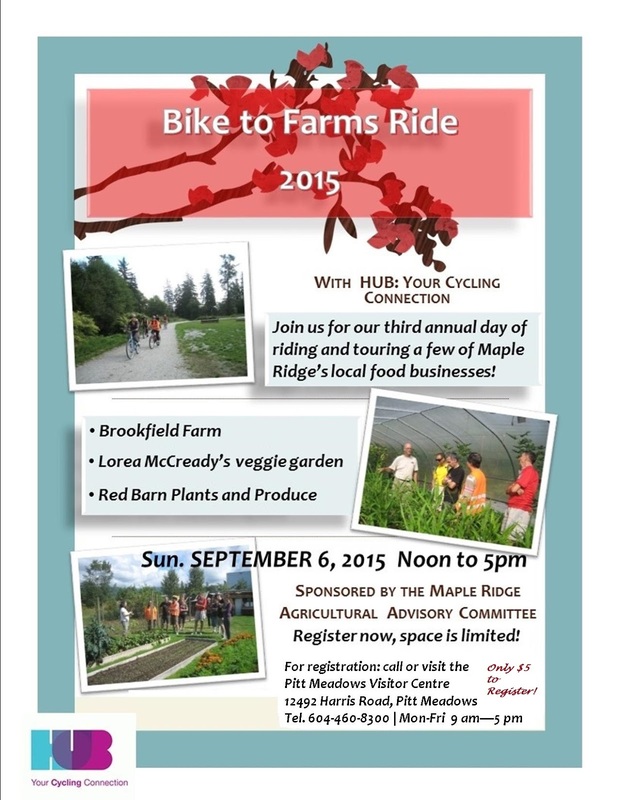 So I can tell you that this year's Bike to Farms event will be on Sunday, Sept. 6, and we're ready for registration! Don't wait too long...it's our most popular ride and we have limited space! We do ask registrants to let us know if they can't make it at least several days before the ride. We'll keep a waiting list if necessary so we can still fill up any cancellations. We've decided to ask for a $5 registration fee this year to cover some of the cost and to be able to give the farmers a thank-you gift for participating. 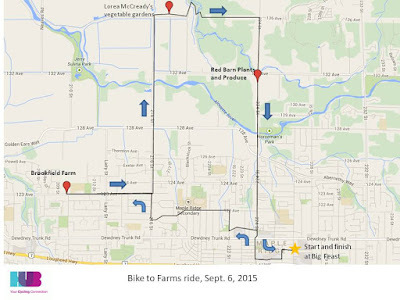 We will provide participants with a snack and a drink at the end of the ride. Make sure you bring some water and a snack to keep yourself hydrated and energized during the ride. With the stops the ride will take several hours. Our experience is that the farmers really take their time to show us around, and we may arrive back a little later than planned, so it's good to be prepared. The distance will be about 15 kms. We'll be riding in two groups of max. 25 participants each. Group #1 leaves from Big Feast Restaurant at noon, returns at Big Feast (or at Memorial Peace Park) at about 3:30. Group #2 leaves from Big Feast Restaurant at 1:00 pm, returns at about 4:30. 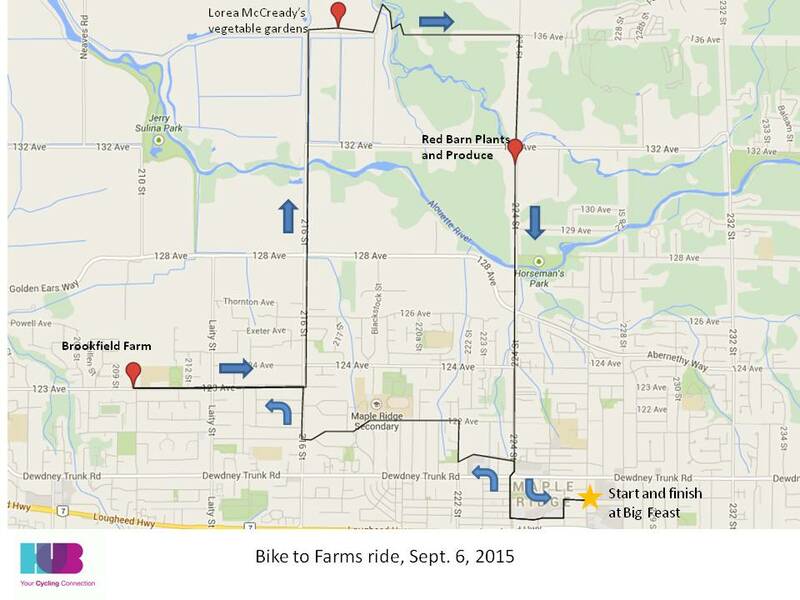 Here's my blog post with photos of last year's Bike to Farms ride. 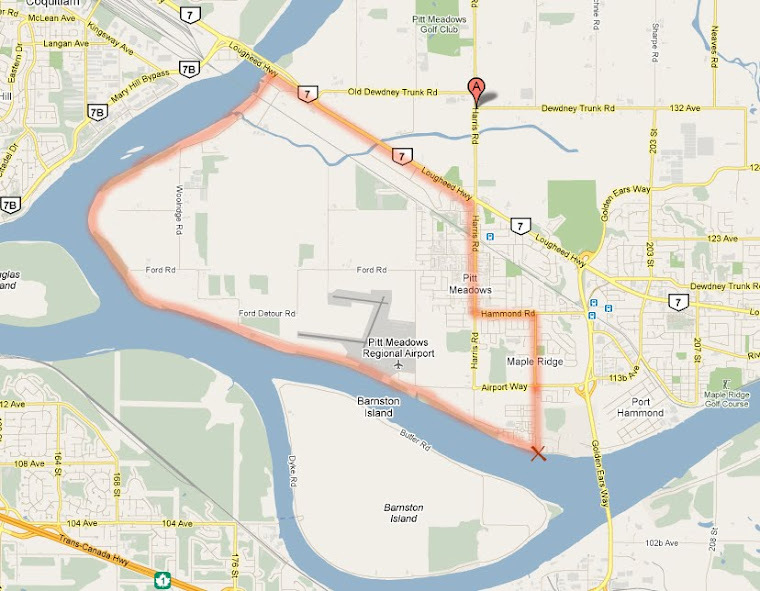 The Pitt Meadows Visitor Centre is now closed for the weekend. Please register with Jackie at jchow23708@yahoo.ca or call (604) 476-9616. Payment: cash only at the start of the ride. Note that kids under 16 years of age will need to be accompanied by an adult. Participants are asked to arrive 15 minutes early to sign a waiver. For more info e-mail Jackie at jchow23708@yahoo.ca.